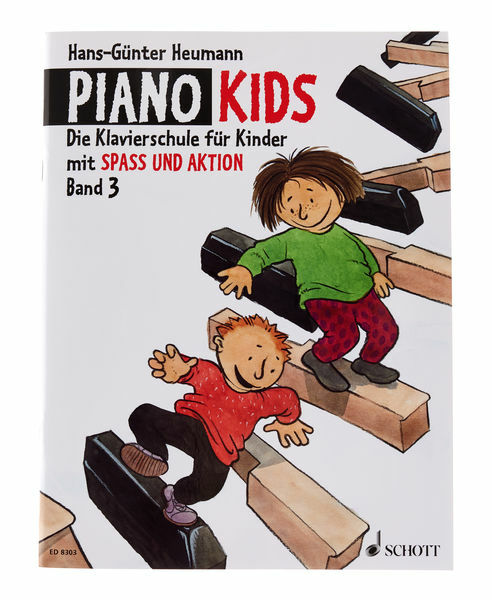 Piano Kids 3This three-volume piano book is characterised by its simple, systematic structure and exclusively uses well-known, popular songs and pieces. In parallel with every booklet there is an "action book" with playfully explained musical theory and all sorts of knowledge (pictures, craft and painting exercises, crossword puzzles, exercises for notes reading and writing, suggestions for improvisation and much more). In the third (and last) volume the following technical, musical and theoretical topics are covered: double stops in thirds and sixths, scales up to two cross and B sign in major and minor, basic rules of melody design, syncope, sixteenth notes, eighth note triplets, and many others dotted eighth notes, chromatic scales, ornaments. 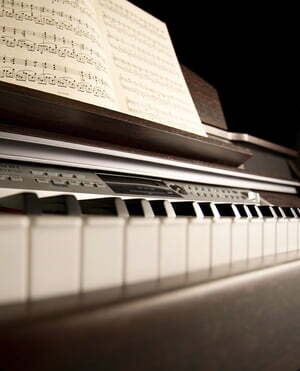 The musical pieces offer a further mix of folk, classical and pop. A. Dvorak: Largo from the Symphony "From the New World"
L. Delibes: Mazurka from the ballet "Coppelia"
ID: 171798 © 1996–2019 Thomann GmbH Thomann loves you, because you rock!